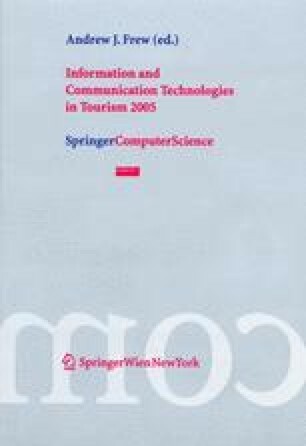 This paper presents a low-cost collaborative multilingual digital content service for the provision of personalized tourist and cultural information. The system tailors the information and existing data on the attraction to heterogeneous groups of visitors-users. Moreover, by interactive and advanced browsing means, the system takes into account visitors and users sets of preferences in order to put forward tour plans as well as to provide an enhanced experience of the site. The scenario firstly adopted for development is that of a Tourist Information and Visitor Centre (TIVC). At the TIVC visitors are received by NOMENCLATOR designed to integrate all the existing data stored in public administrations as well as local private organizations. NOMENCLATOR, a knowledge support system, focuses on visitors' expectations and needs fulfilment. Finally, NOMENCLATOR is part of a local development project based on the comprehensive use of natural resources, cultural resources and information technologies.